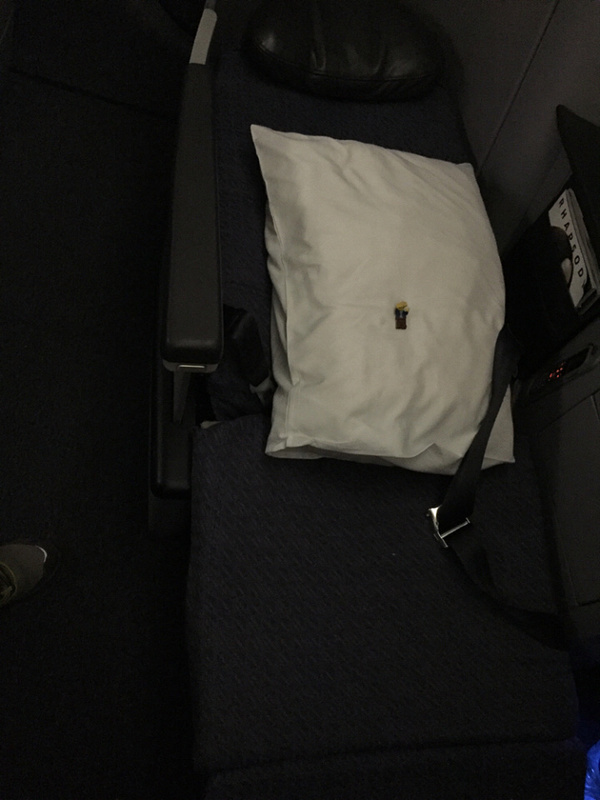 LegoGuy enjoyed a flat bed on his 16 hour flight… He better not get accustomed to that! 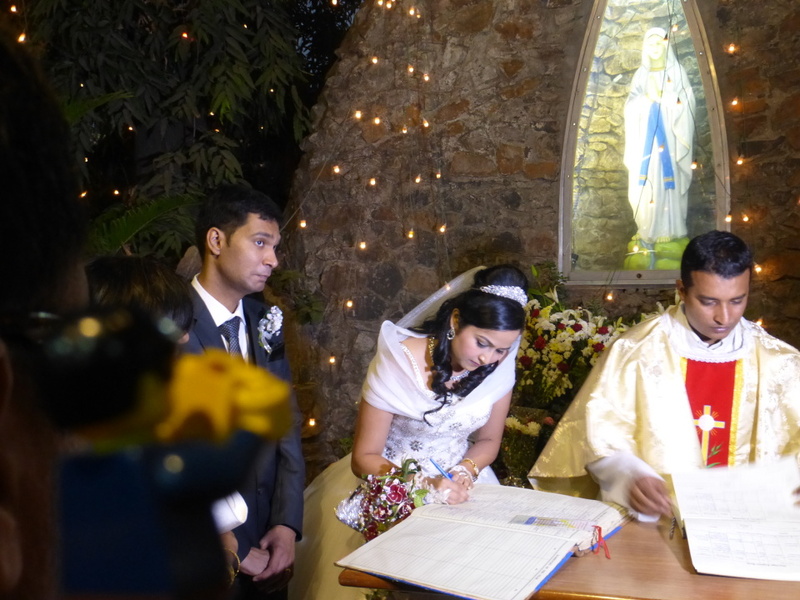 LegoGuy captured the newly wed couple signing the church marriage register. 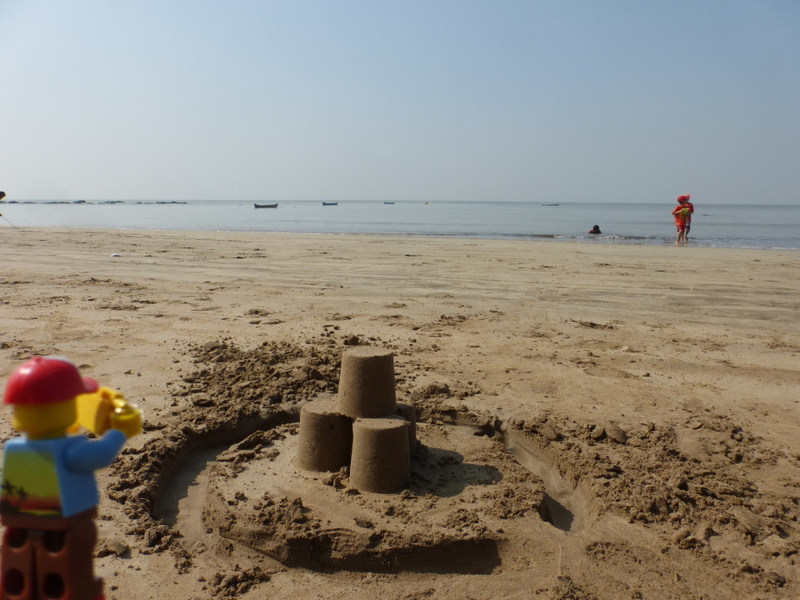 LegoGuy had his “beach” shirt and cap on! 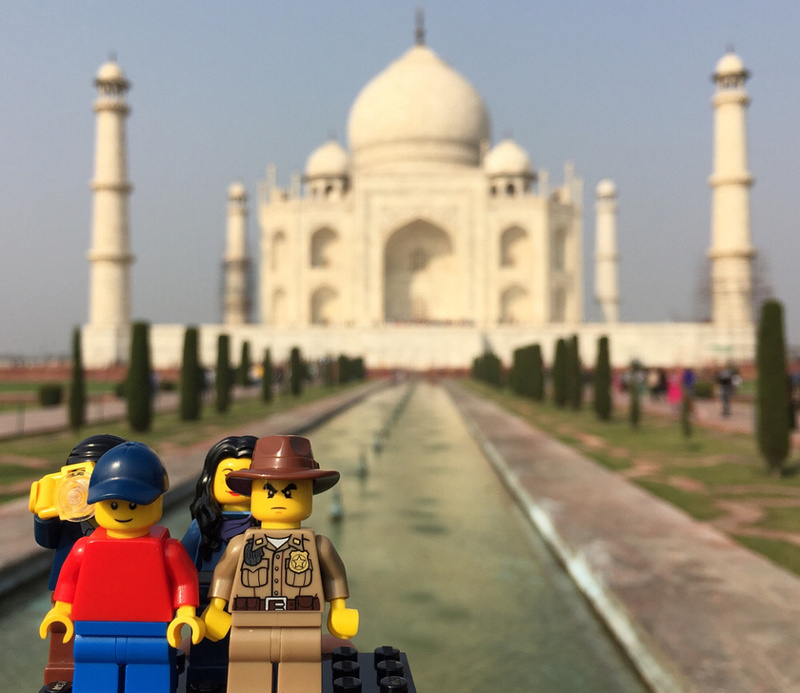 LegoGuy participated in his first “Umbraacha Paani” – a ritual celebrated just before the wedding, and it was one to remember! Our entire extended family went dancing through the streets near the groom’s house to collect water (paani) for his “bath”. 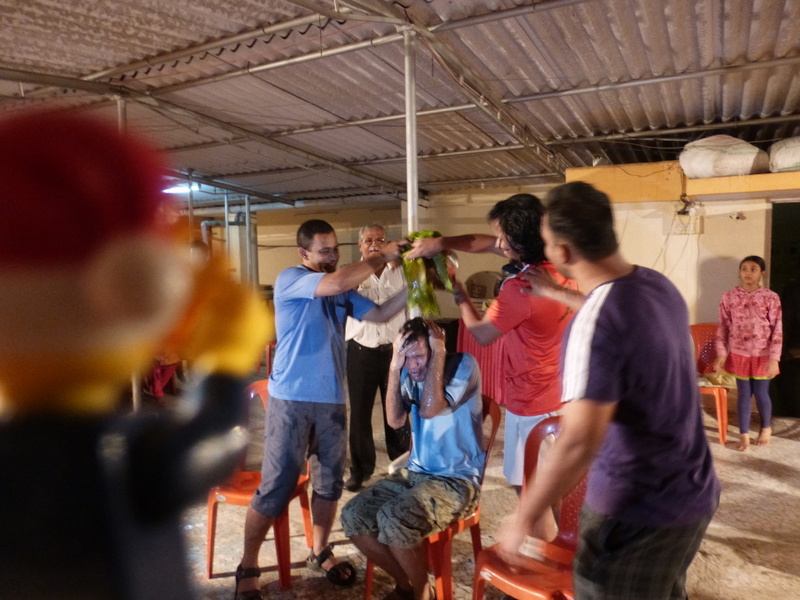 However the poor groom (sitting) was also treated to eggs, turmeric, and doused in all sorts of beverages. 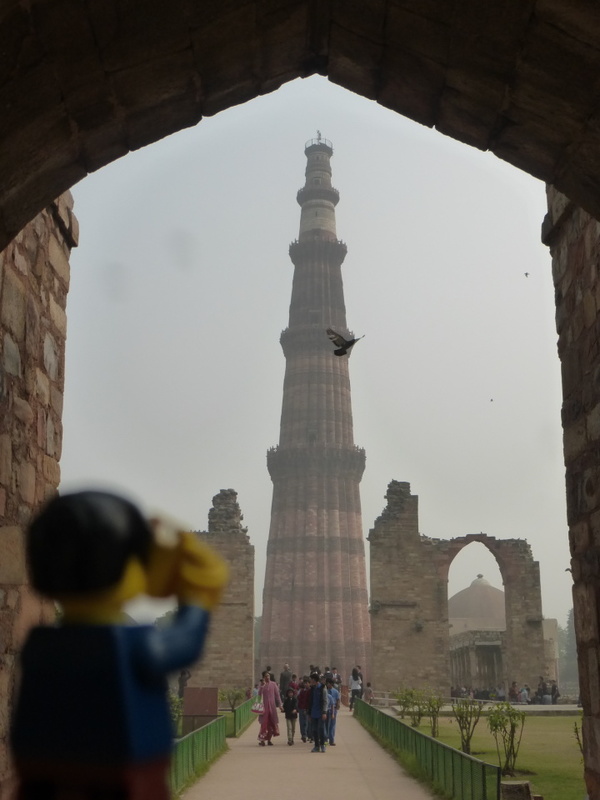 LegoGuy sneaked out with LegoGal the day before Christmas for a long walk down memory lane. 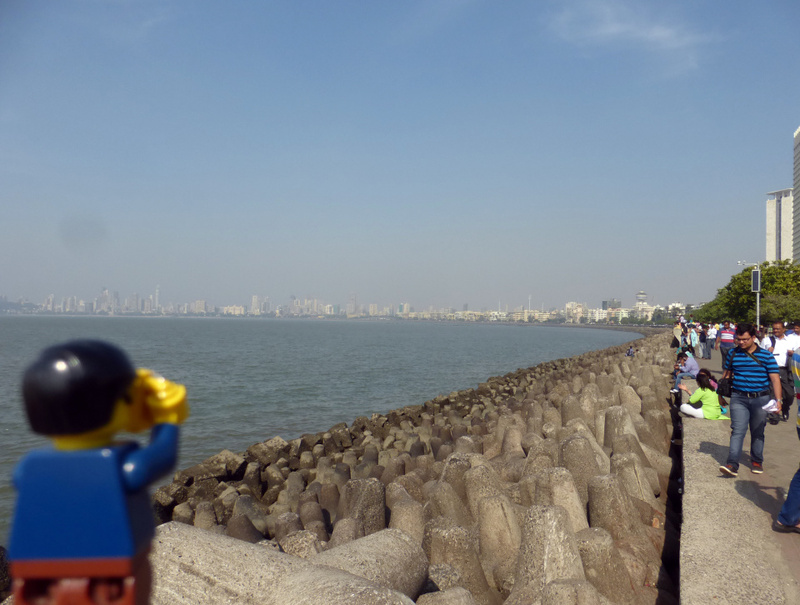 The walk included going to the tip of Marine Drive (also known as Queen’s Necklace because that’s what it looks like when lit up at night).